Hello Kurlees! It is pleasure to present National Natural Hair Meet Up Day in THE BAHAMAS with All U 242. 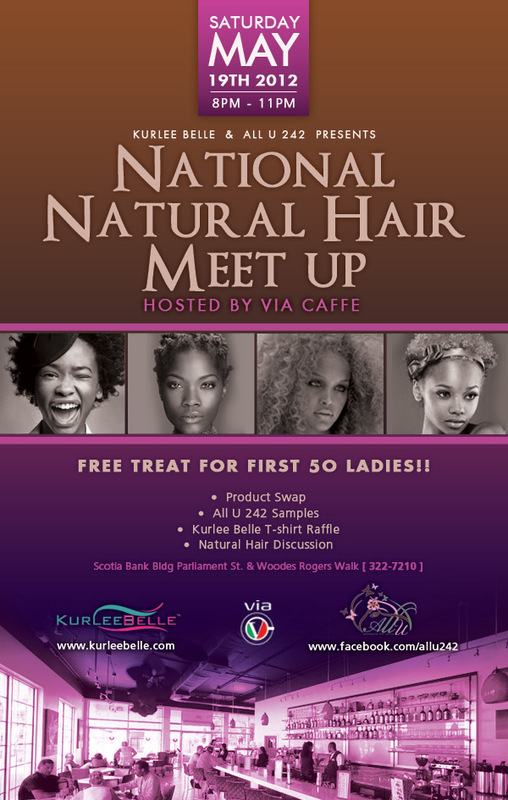 There will be product swaps, sample products and Kurlee Belle Natural Hair Self Expression Tees and tanks! Food and drinks available. This is going to be an event not to be missed.